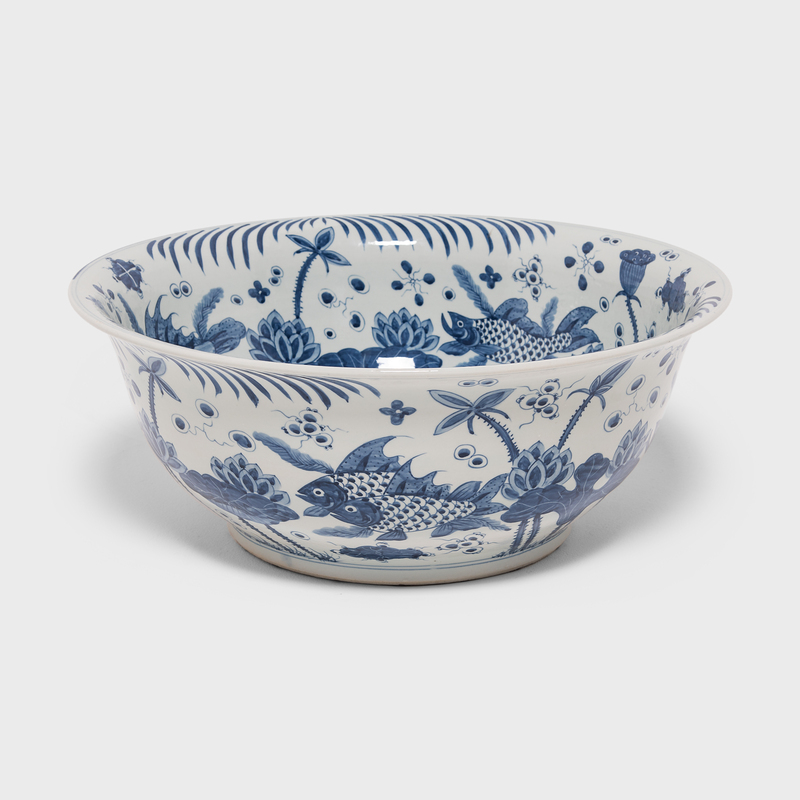 This late 19th-century footed bowl would have been offered by Chinese traders travelling along the Silk Road in exchange for spices or gems. 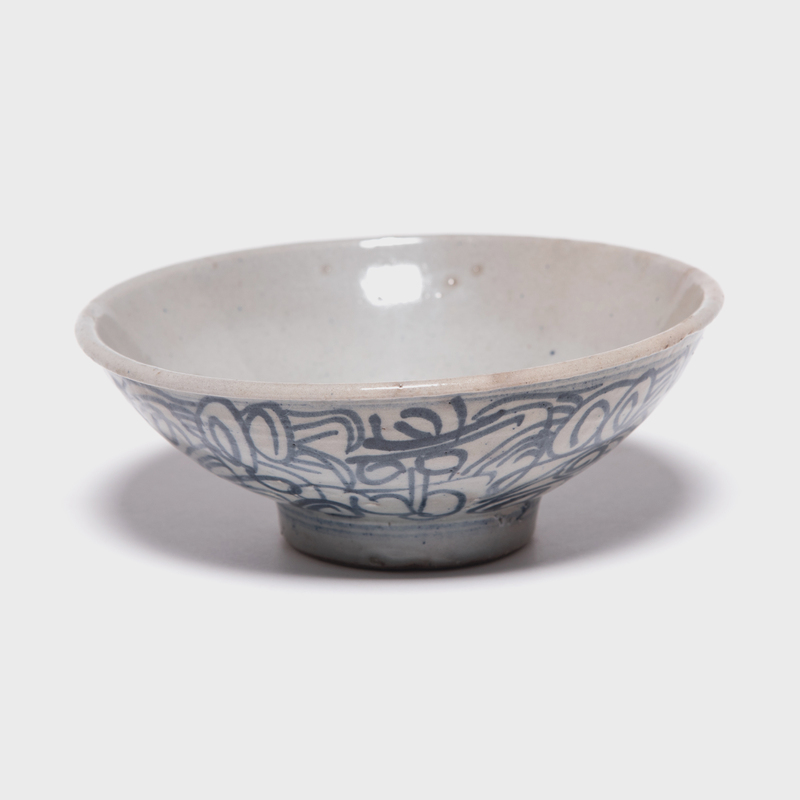 The Chinese artisans who hand-painted it with scrolls, loops, and crossed lines thought the meandering decorations resembled Arabic and Hindi calligraphy. 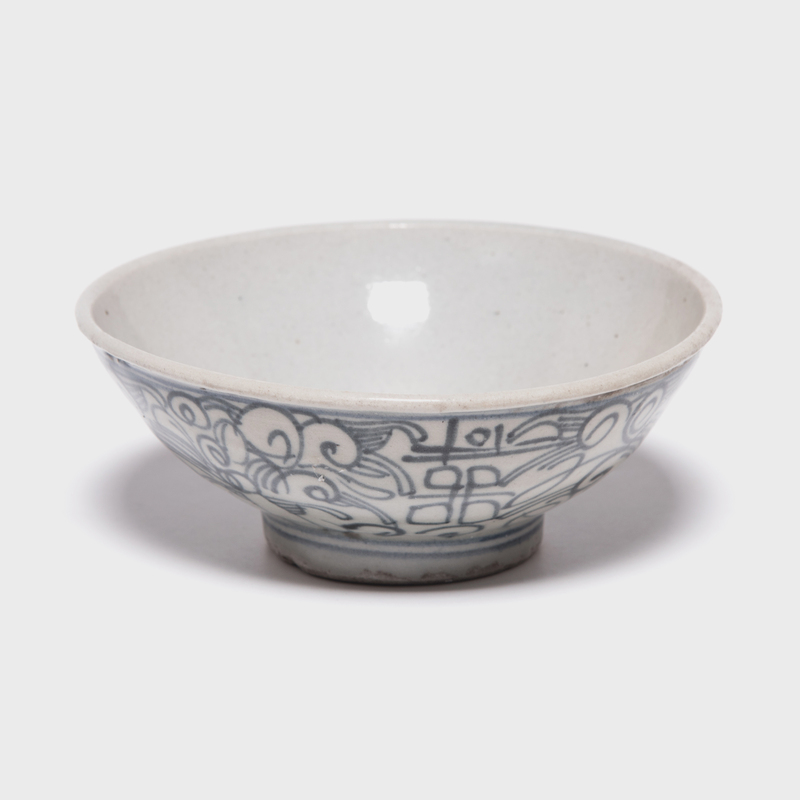 Tucked within the swirling pattern is the Chinese symbol of double happiness, a blessing of happiness and good fortune for the recipient, whose name is likely etched onto the base of the bowl. 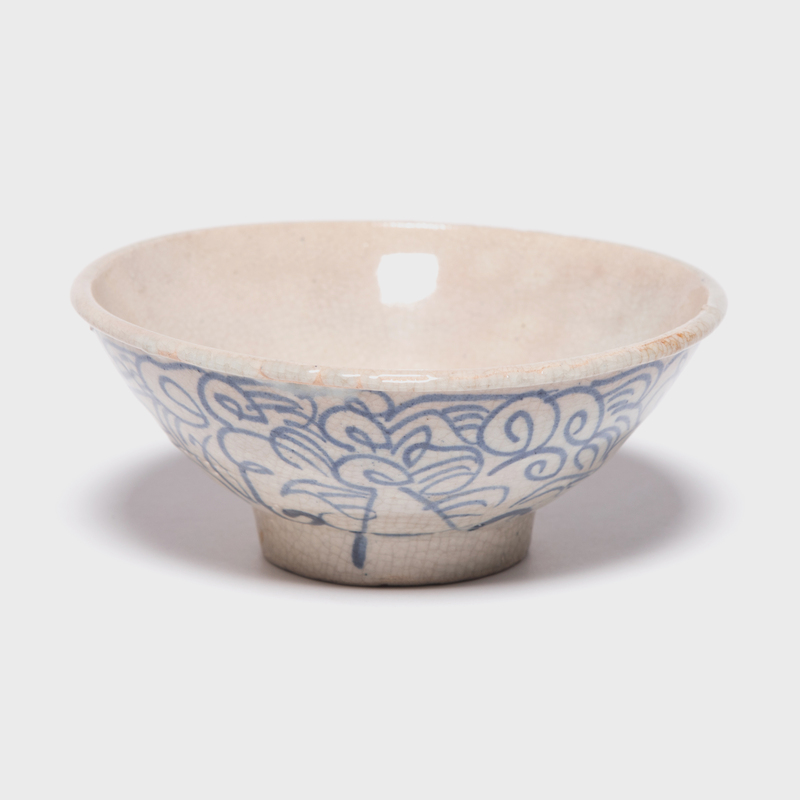 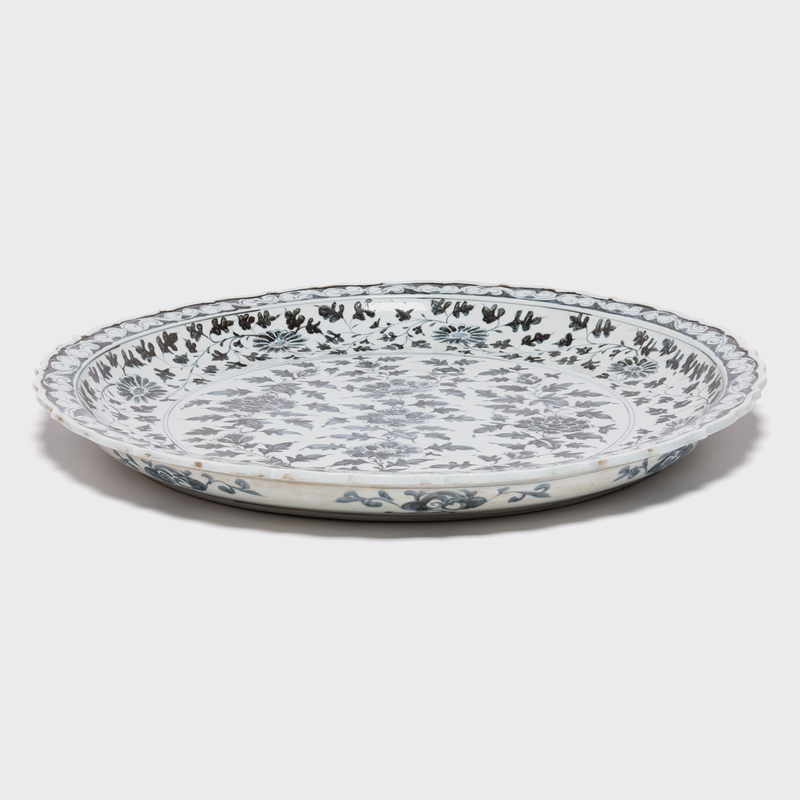 This bowl would have been used every day for food and drink, and lives on as keepsake of the cultural history spanning from East to West Asia.